You can write your own life story in just 15 minutes a day. Really. I’m probably best-known for my personal journaling workshops and online art journals. 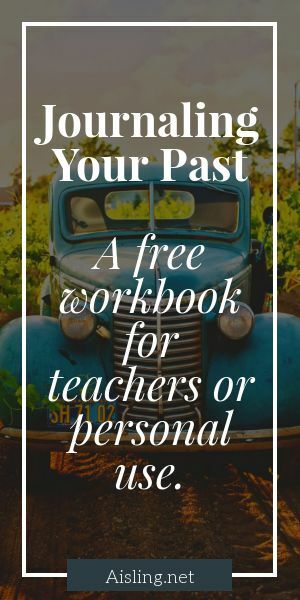 I want to share one of my favorite workshops with you in this free PDF about journaling your own history. You’ll learn how to create a rich and rewarding journal of your personal and family history easily, in just 15 minutes a day. Whether you’d like to record your life story for future generations, or introduce your family to the fascinating study of genealogy and family history, this is a great way to start. This workbook includes class notes, reproducible worksheets, and tips on how to teach this class yourself. It’s also ideal for homeschoolers, Scouts or church groups, or for family evenings at home. This ebook is a PDF you can read with the free Adobe Acrobat Reader program.